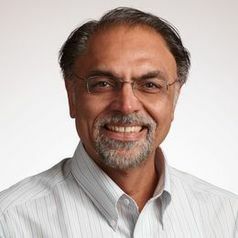 Jagdip Singh, PhD, devotes his research to the building and sustaining of effective and enduring connections between organizations and their customers, especially in service industries. Singh studies how firms organize, implement and support change and knowledge management to balance the competing goals of productivity and quality in the frontlines. Dr. Singh is a recipient of John S. Diekhoff award for excellence in Graduate Teaching (CWRU), Excellence in Doctoral Teaching and Mentoring award (Weatherhead) and Weatherhead School’s Research Recognition Award for outstanding contributions to research. Dr Singh has also received “Excellence in Reviewing” awards from the Journal of Marketing, Journal of the Academy of Marketing Science, Journal of Retailing, and the Journal of Personal Selling and Sales Management. Dr. Singh has edited a book for the Legend in Marketing series titled, “Marketing Theory: Philosophy of Science Foundations of Marketing,” contributed to several book chapters, and published in peer-reviewed journals including Journal of Marketing, Journal of Marketing Research, Academy of Management Journal, Academy of Management Review, Journal of Consumer Research, Management Science, Journal of Management Studies, Psychological Assessment, Journal of the Academy of Marketing Science, Journal of the American Medical Association, Medical Care, and the Journal of Retailing.